Shimano XTR is the best of the best when it comes to mountain biking components. The Shimano XTR BR-M9100 Disc Brake is the newest hydraulic disc brake that is designed for cross country riders who want the lightest and most powerful brake. 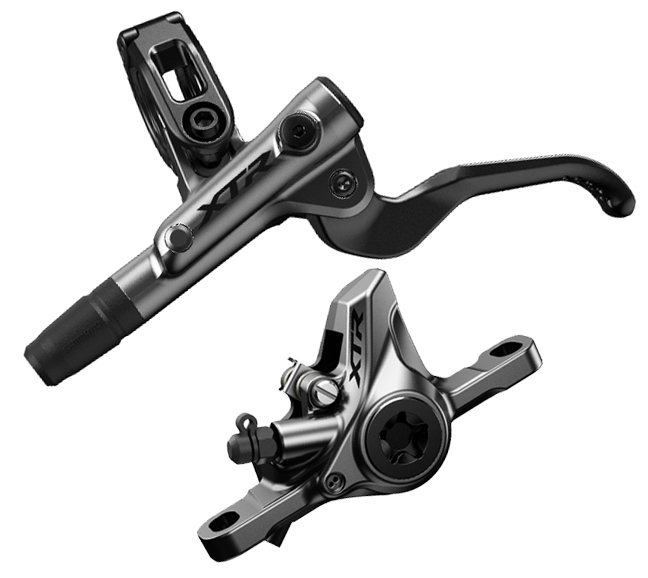 Shimano moved the clamp of the M9100 lever to increase the stiffness, added a magnesium master cylinder, and a carbon lever blade. The caliper for the XTR disc brake uses flat mount non-finned brake pads. The lever has quicker rebound than the previous generation and is 10% stiffer too. The lever reach can be adjusted but requires a tool. If you're looking for the lightest weight, highest performing disc brake for your XC race bike, then you'll love the Shimano XTR BR-M9100 Disc Brake. what brake pads do these use?